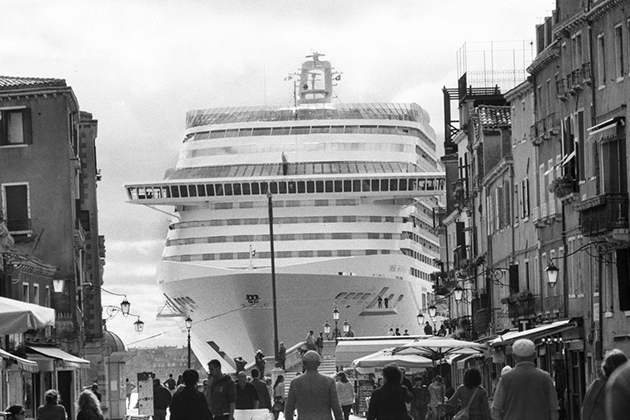 For more than a couple of decades, life in Venice – perhaps the most charming and preciously conserved city in the world – has been profoundly changing, with an ever growing global flux of tourists showing deeper and more profound problems on which the town was, perhaps, built. 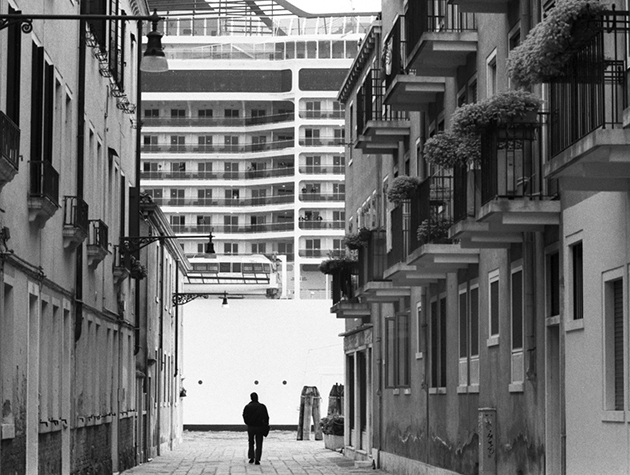 A new exhibition in the lagoon city brings together the contradictions of Venice, told through the lens of one of its most well-known photographic masters. 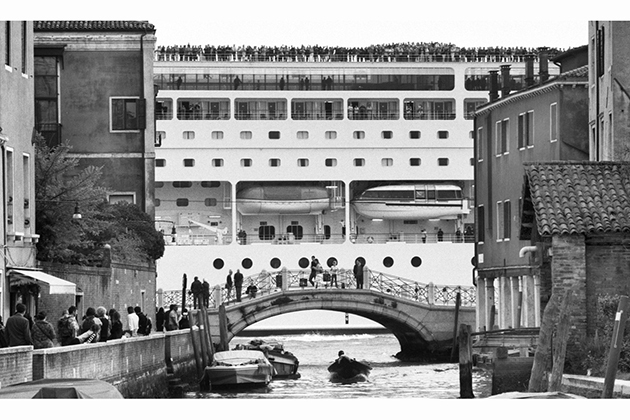 The Olivetti showroom – designed by late architect Carlo Scarpa and recently reopened after a renovation by Italian association FAI – hosts a show portraying the daily arrival and departure of cruise ships in the Venetian lagoon. 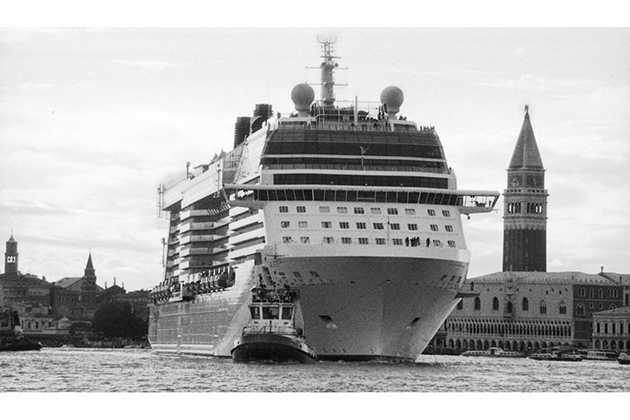 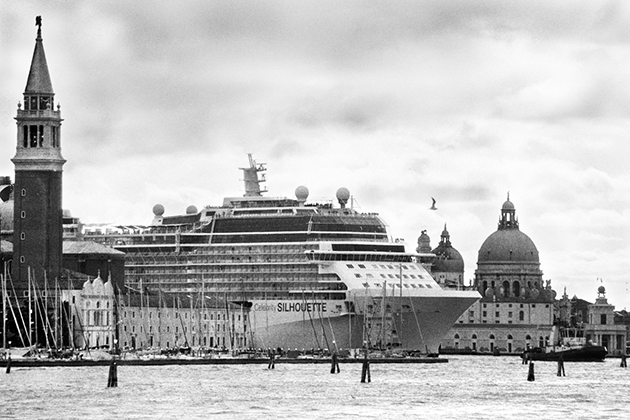 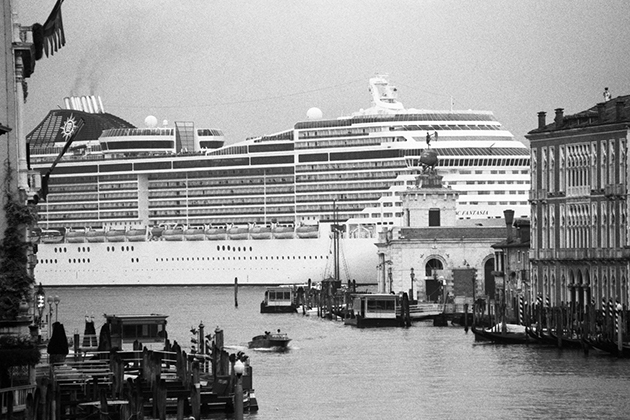 The exhibition of the photographs is intended to document the landscape of the cruise liners. 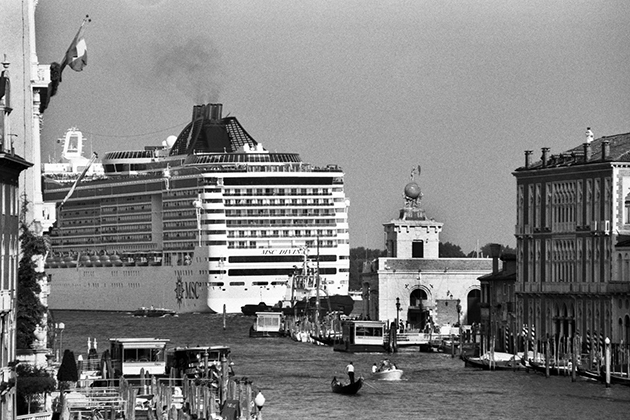 The implacable black and white of Gianni Berengo Gardin’s photographs has, as always in his work, the purpose of bringing to light, with a sensitive and critical eye, the contrasts implicit in reality, society and the landscape, which are represented without filters or softening, in their raw essence. 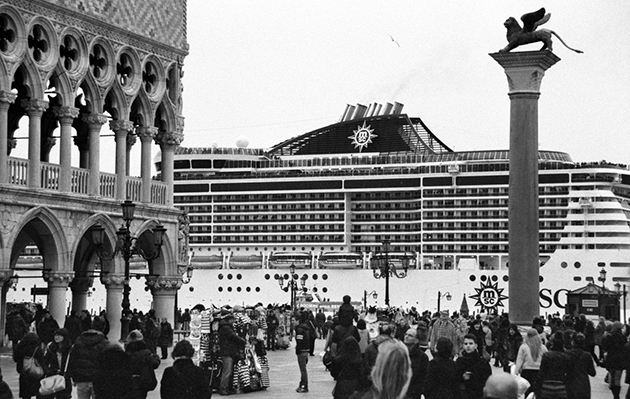 Gianni Berengo Gardin has never wanted to be called an artist. 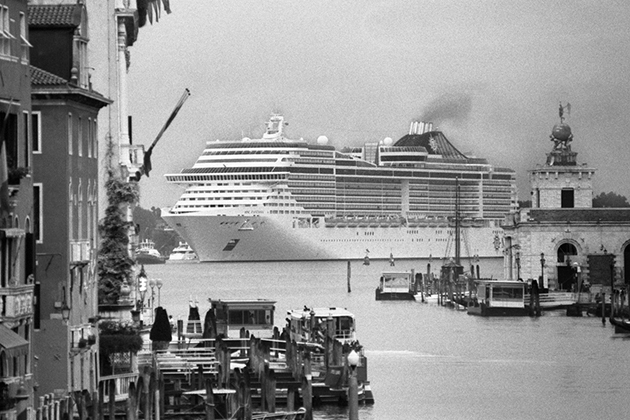 His mission has always been to document, to be a witness to his own time, and even when faced with the cruise liners – these anomalous, abnormal and extraneous presences set against the Venetian panorama – the photographer has done what he knows how to do best: to communicate through his photographs.